Embark recently opened its first standalone fashion store in Galle. With splashes of vibrant colour, the 5, 500 square foot space is filled with stylish clothing, trendy accessories, pooch-themed collectibles and its own cosy caf. 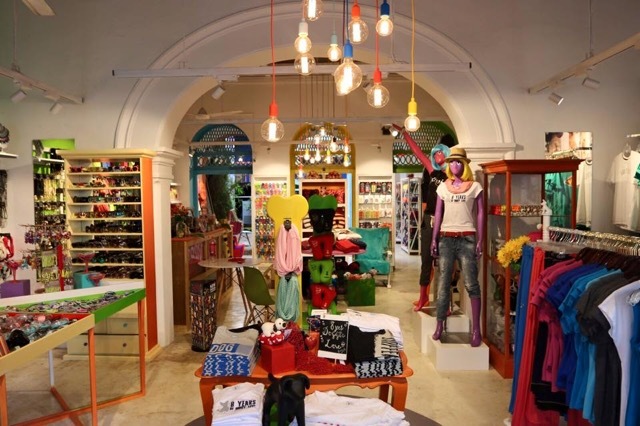 A combination of cheeky and inspirational slogans, graphics inspired by the brand very own mascots; Niko, Bandit and Rozzy, and its unique displays complete the interior, making it a truly one-of-a-kind store. With profits from the sales of products, Embark hopes to do more for street dogs in Sri Lanka in the years ahead.